Are you a candidate for dental implant? Yes, if you have lost your teeth in any occasion, obviously you are the one among the dental implant candidates. But worrying about the cost of dental implants in Melbourne, no worries, you can now enjoy high quality dental implant treatment without burning your pocket. . Thinking, “What Makes Dental Implant Cost Very Expensive?” The answer is: The cost of dental implant varies depending on the condition of your jawbone, number of teeth to get replaced and the materials used for the treatment. Often the process is avoided by maximum patients as they assume it to be quite a pocket- burdening surgery. They tend to fill the gaps with replicated artificial tooth, which creates discomfort. However, cheap dental implants in Melbourne erased this burden with their economic kind of services offered. Dental implants previously were considered not to be patient-friendly enough owing to the hassles it involved. Moreover, it also requires a proper understanding of the patients who need dental implant and the details of processes that involved in the mechanism. With growing knowledge of people and proved successful cases, dental implants in Melbourne have earned extreme patient satisfaction not only in the level of treatment but also in the cost. They have been successfully spreading smiles with their faithful, careful and intensive hands. As soon as you encountered the dental problem, you have a comprehensive consultation with the dental specialist who has had advanced training in the placement and restoration of implants. Then, your dentist will undergo some examinations like scan & x-ray and review your medical and dental history. This will help them to analyse how much jawbone is available to hold the implants. If the x-ray shows that your jaw does not have enough bone to hold the implant, the dentist goes for next option to build up the bone. These include bone grafting or bone distraction. So, the treatment continues further and these consultation charges about $55. Once you have enough bone to hold an implant successfully, the implant surgery is scheduled for you. The process of implant surgery cost in Melbourne is as low as $1500. It is the main reason why many of the patients no longer hesitate to indulge themselves from dental implantation surgeries. After the successful execution of the implant surgery, it is important to place an implant crown that will ensure the proper safety of your implant. Without an implant crown, your implant is likely disposed to damage and can lose its efficiency. The dental implantations services of Melbourne make the availability of implants at cheap rates as $1350. The full dental implant package can thus be enjoyed at a mere expense of $2850. 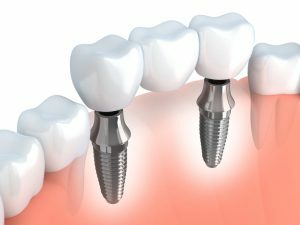 Thus, the cost of dental implant in Melbourne is affordable for the patients and has high quality treatment for your satisfaction. Have a good smile!